Safe Kids Maine, in partnership with Eastern Maine Medical Center, the Children’s Miracle Network, and the Bangor Fire Department, is continuing to help keep kids safe while on the water by offering loaner life jackets to the public for the day or weekend, at no charge! Here’s how the Life Jacket Loaner Program works. If a family discovers they don’t have enough properly-fitting children’s life jackets, they can simply visit the Bangor Fire Department and sign out an infant, child, youth or adult life jacket for the day or the weekend. When they’ve finishing using them for the day, they can return the jackets to the same location. 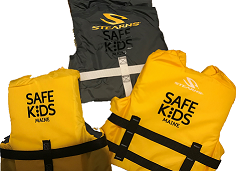 Safe Kids Maine is making 12 life jackets available for loan, allowing hundreds of children to stay safer in and on the water. If you would like to borrow a life jacket, simply stop by the Bangor Fire Department Central Station, 289 Main Street, in Bangor. For additional information, please contact Safe Kids Maine at safekidsmaine@tallpinesafety.org or call (207) 899-9461. 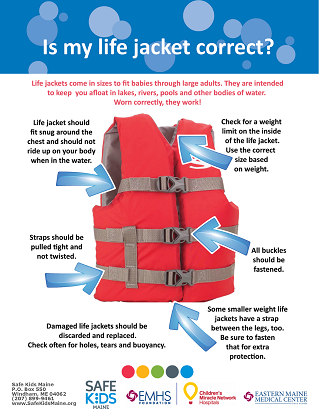 Wearing a properly fitted life jacket can reduce the risk of drowning by 80%! Maine Law requires that all children 10 years of age and younger to wear a US Coast Guard approved life jacket when on board a boat, kayak, canoe, or other water vessel. 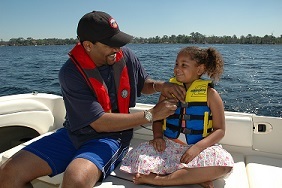 Life jackets are recommended to be worn by all persons on board. All rights reserved Safe Kids Maine © Copyright 2010 and beyond.